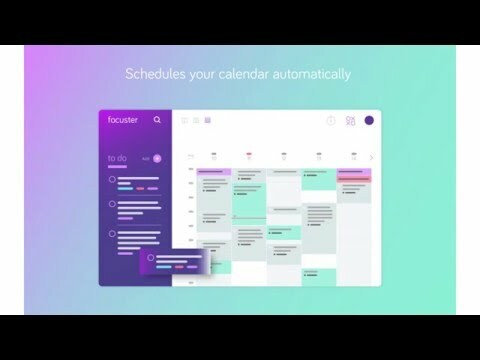 Let Focuster automatically manage your schedule for you. All you need to do is focus on the next thing. Focuster optimizes your schedule in Google Calendar so you're making more consistent progress towards your goals. More of what matters, less of what doesn’t. Focuster automatically reschedules your priorities until you get them done and sends thoughtful reminders to keep you focused. Focuster is designed to help you recover quickly from distraction, saving over 2 hours a week! Focuster harmonizes your schedule to your life, not your life to your schedule. Get the benefits of a calendar without the stress. Stop planning and start getting things done! Focuster was added by Zeklandia in Oct 2016 and the latest update was made in Sep 2018. The list of alternatives was updated Apr 2019 There is a history of all activites on Focuster in our Activity Log. It's possible to update the information on Focuster or report it as discontinued, duplicated or spam. Beat brings your team communication and project management together. All ideas and discussions are in one place. Alternatives to Focuster for Web, Android, iPhone, Mac, iPad and more. Filter by license to discover only free or Open Source alternatives. This list contains a total of 25+ apps similar to Focuster. Maybe you want to be the first to submit a comment about Focuster? Just click the button up to your right!